I got this yarn in December. 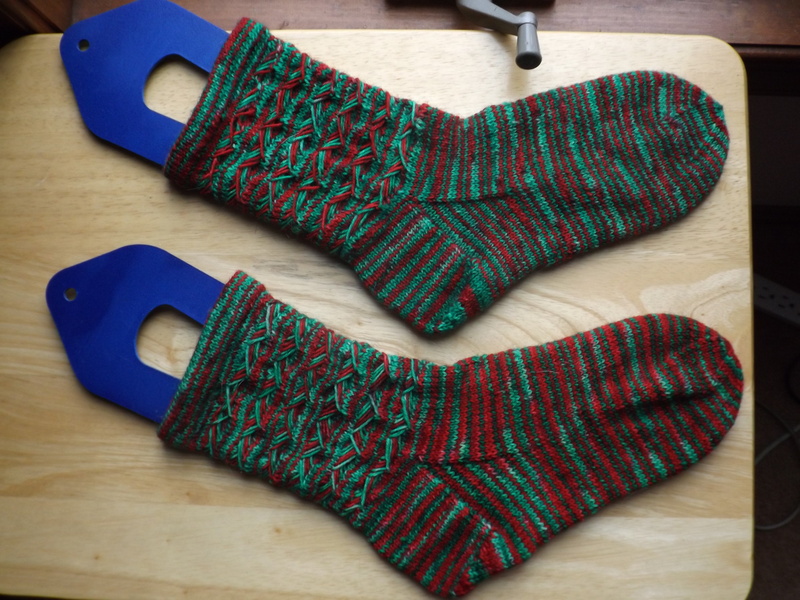 Who has time to make Christmas socks in December? It should have been sent in October. Or maybe even August with the way I was going. This sock went so fast. And it’s cute. Sometimes you just have to make cute. I have happy socks. Why not have cute socks? I love the little loops along the top. 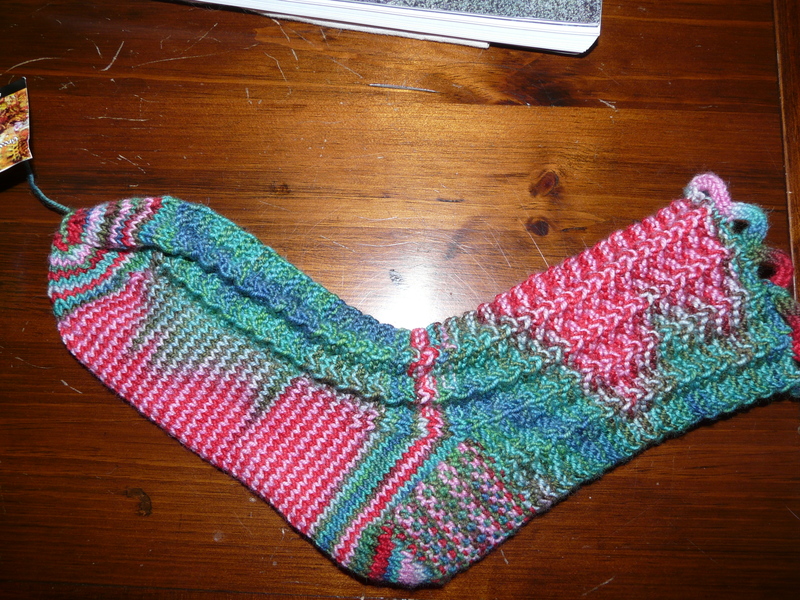 When the February sock club came, I was very happy with the yarn. The patterns left something to be desired. I was expecting two totally different patterns which they weren’t. Granted, it was a glove and a sock, but the cuffs on both were the same. And they literally buttoned closed. 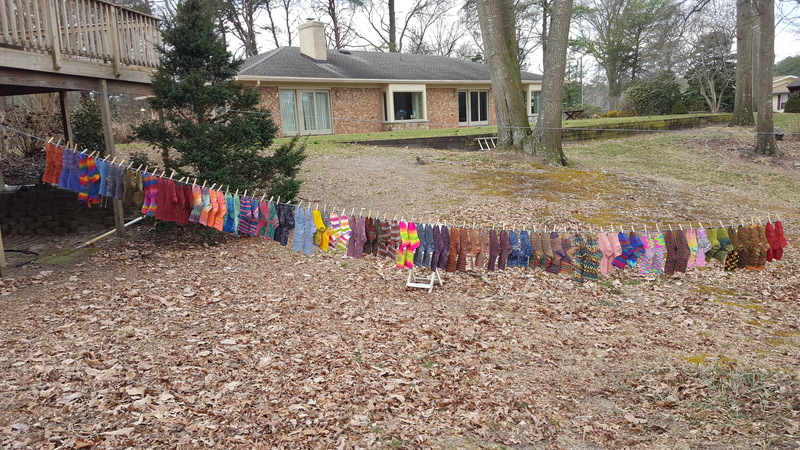 I make gloves and socks for warmth. I don’t want to see any gaps. 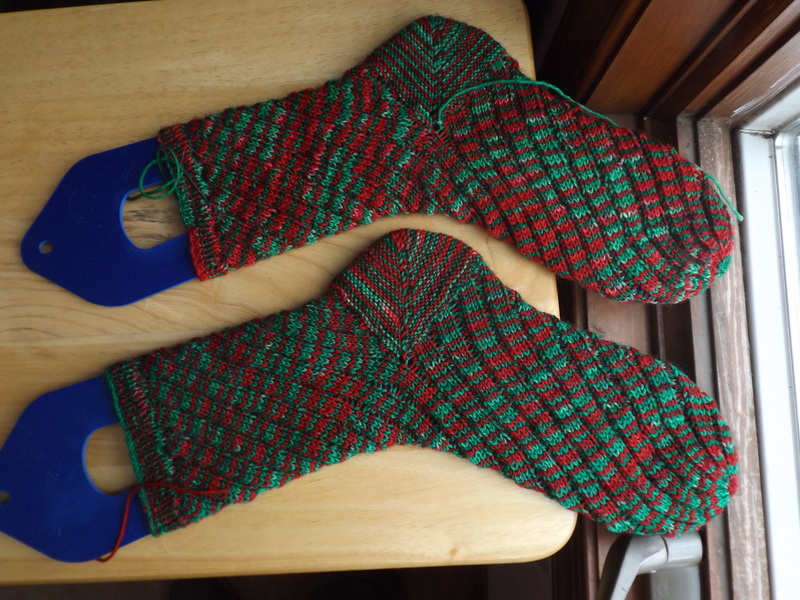 So I got out Anna Zilboorg’s Magnificent Mittens and Socks, a fun book. 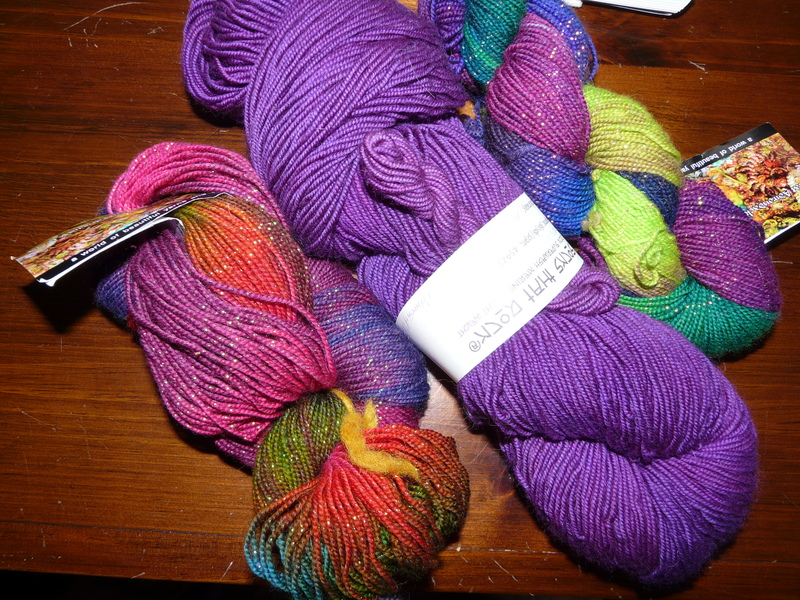 Next came two skeins of Great Adirondack’s Smoochie. Looks like I’ll be getting the swift and ball winder out in the next few days. 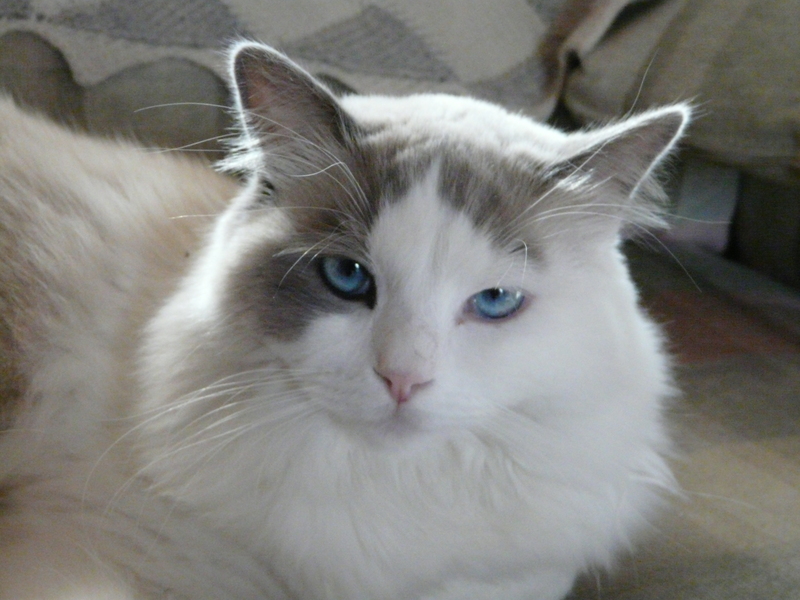 I wonder how much cat help I’ll get.